In 2017 an anonymous donor stepped up with an idea to sponsor an entry for someone who had a dream to ride Tevis but the years got away from them. The contest is reborn in 2018! The essay contest is limited to people that have never ridden the Tevis Cup ride before, who are qualified to enter the Ride as of May 13 and they must be at least 60 years of age on the day of the ride. The essay requirements are: To enter the contest, in 500 words or less tell us about yourself, your horse and your journey together as a team. Please share the experiences that you feel have prepared you for this challenge. Let us know the impact this entry will have on reaching your dream of participating in the legendary Tevis Cup. Entries are to be mailed to the WSTF Office indicated below and must be postmarked by May 18th. A winner will be selected during the first week of June. Last year's winner Lorna Christopherson of Salem, Oregon completed the ride in 49th place. Ottawa, ON, April 23, 2018 – The Equestrian Canada (EC) Endurance Committee is pleased to announce the recipients of the 2017 Endurance Year-End Awards. These awards recognize individuals and equines that have put countless hours and tireless effort towards the pursuit of personal excellence in endurance, and the sport’s growth in Canada. For more information on the 2017 award recipients, please click here. The EC Endurance Committee provides a variety of awards programs for the endurance community in order to recognize outstanding athletes, owners, horses, volunteers and more. To learn more about available endurance award programs and view lists of past winners, visit www.equestrian.ca/sport/endurance/awards. The following endurance riders will represent the U.S. at the Test Event for the 2018 FEI World Equestrian Games™ held on April 27-28 in Mill Spring, NC. The CEI2* allows U.S. endurance athletes and those from around the world the opportunity to become better acquainted with the venue and various facilities on the grounds. The Test Event is scheduled to begin on Friday, April 27 with the First Veterinary Inspection at 14:00 / 2:00pm, ET and continue with the start of the competition on Saturday, April 28 at 6:00am, ET. Stay up to date on news and information about USEF’s endurance programs and teams by following USA Endurance on Facebook and use #USAEndurance. Note: This is not an AERC-sanctioned event but the Test Event in advance of the WEG. The annual Arabian Racing Cup's US ￼Darley Awards and International Darley Awards, sponsored by the HH Sheikh Mansoor Bin Zayed Al Nahyan Global Arabian Horse Flat Racing Festival, were held on April 7 in Hollywood. If he would learn to ride horses — her passion — then she would train as a runner and they could compete together in a little-known sport for horses and humans called "ride and tie." Courtney, a Presbyterian minister, recalls that he had no real interest in horses, but he found his daughter's proposal irresistible. That was six years ago, and although Sarah is now off at college at Western Carolina University, pastor Krueger, of First Cumberland Presbyterian Church on North Moore Road in Brainerd, is still smitten with ride-and-tie races — to the point that he has become a perennial threat to win the national points championship. "I love it," Courtney Krueger says. "I once did a 50-mile race. 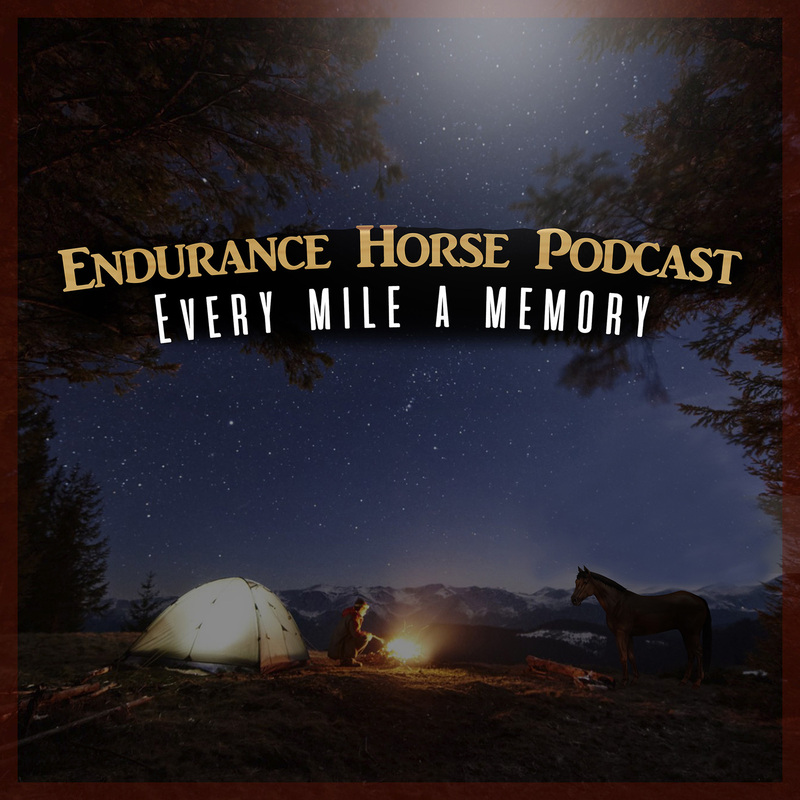 No way I could have done a 50-mile foot race..."
On today’s endurance episode Haily Daeumler tells us about her adventure at the Nevada Derby Ride, Man & Horse: The Long Ride Across America author John Egenes shares stories and Vicky Beelik gets everyone laughing with excerpts from her book The Do’s and Oops of Horses. Karen’s endurance riding tip covers camping.